History and development - Česká pojišťovna, a. s.
The tradition of Česká pojišťovna dates back uninterrupted to 1827, when "Císařsko-královský, privilegovaný, český, společný náhradu škody ohněm svedené pojišťující ústav" (Kaiser-king, privileged, Czech, Mutual Insurance Institute) was established in Prague. Soon it was renamed První česká vzájemná pojišťovna (First Czech Mutual Insurance Company). Initially this company only operated in the insurance of buildings against fire. In the second half of the 19th century První česká vzájemná pojišťovna was such a strong institution that it remained unaffected by a number of large fires toward the end of the century, including the biggest insured event in the 19th century which was the fire at the construction of the National Theatre. Early in 20th century, První česká vzájemná pojišťovna started offering life insurance, theft insurance and statutory liability and accident insurance. 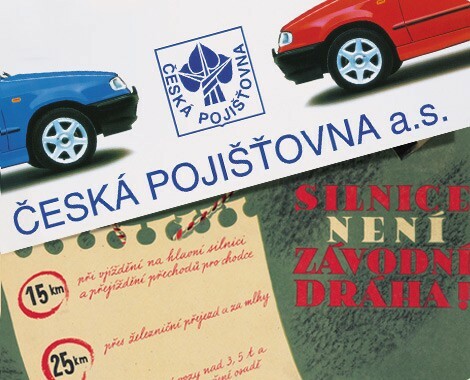 After 1948 Československá pojišťovna was established as the sole insurance company, and held its monopoly position until 1991 when the Insurance Act liberalised the insurance market and allowed the entry of other insurance companies. By the end of 1999 there were 42 insurance companies in the Czech market. However, even in the current highly competitive environment Česká pojišťovna still holds its prominent position. Generali attained 100% ownership of Generali PPF Holding B.V. (GPH) by acquiring the remaining 24% minority shareholding held by PPF Group, in line with the agreements signed in 2013. With the acquisition of the full ownership of GPH, the holding company operating in Central and Eastern Europe changed its name to Generali CEE Holding B.V.
After January 2013 Generali Group held 76% of Generali PPF Holding shares, with PPF Group holding the remaining 24%. In accordance with the agreement of the shareholders, Luciano Ciriná has become the new CEO of Generali PPF Holding. The company came up with the first product that introduced the smartphone mobile app to the Czech market for the needs of motor insurance. The third-party insurance market changed. The first third-party insurance without liability will help drivers in all accident situations, because it does not just protect the vehicles, but also the car owner, even if the damage was caused by a client of a different insurance company. PPF Group and Assicurazioni Generali established a joint venture - Generali PPF Holding - which includes the insurance and related activities of both groups in Central and Eastern Europe. ČP became a member of the European Road Safety Charter. ČP Client Service was built and began providing top quality services. ČP entered the Russian market. The third-party insurance market was demonopolised. The insurance company Česká pojišťovna, a. s. was privatised. The monopoly situation was dissolved and a competitive environment emerged. Major changes began in the corporate organisation structure. The Ministry of Finance settled the conditions for statutory insurance of socialist agricultural organisations. Non-profitability of life and pension insurance principles were issued. Česká státní pojišťovna (Czech State Insurance Company) was established. The Danube flood caused some of the worst damage in history. Státní pojišťovna (State Insurance Company), later the insurance and reinsurance enterprise, was established. Five existing insurance companies were merged to form the Československá pojišťovna, n. p.
The Contracting insurance industry was nationalised. The insurance industry was struck by the world financial crisis which also hit "První česká". The management attempted to expand its influence not just in the Czech lands, but also in Slovakia and Subcarpathian Russia. After the establishment of the independent state, "První česká" operated with almost all types of insurance. It expanded its services to include insurance for damage caused by theft, and statutory liability insurance. At the general meeting it was decided to expand activity to new insurance sectors, such as liability (third-party) and car insurance (formerly driving machines). The company developed, but it also had to face greater competition from newly established insurance companies. The institution was affected by the biggest loss in the 19th century which was the damage caused by a fire to the National Theatre. The activity of the insurance company expanded to include life and livestock insurance. Insurance against hailstorms was introduced. The institution began to insure mobile property against fire. Interest in the institution's affairs began to fall, with the director attending the annual meeting by himself. The crisis did not pass until the next decade. The insurance company experienced great losses, and its insured value fell for several years. The insurance company's statutes were approved on 27th October.